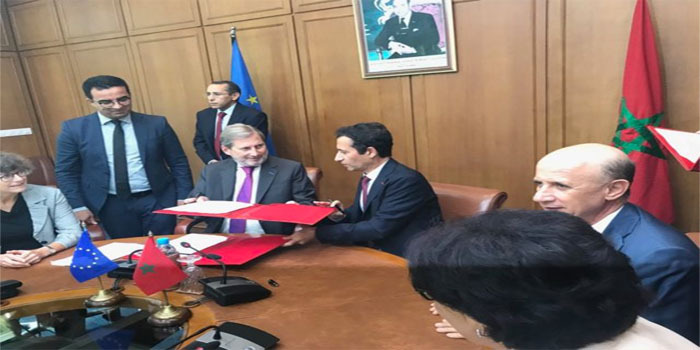 Morocco and the EU have signed two agreements to support the North African country’s social security reform and green growth programs. The inking of the agreements comes while the European commissioner is on a working visit to Morocco. The visit aimed to enhance the EU-Morocco partnership and “review the EU’s commitment to support Morocco’s development programs,” wrote Maghreb Arab Press (MAP).During his meeting with Morocco’s head of government, foreign minister, and economy minister Friday in Rabat, Hahn promised to sign an EU-funded program to back small and medium-sized enterprises in Morocco as a pledge of the EU’s commitment to help with the development of Morocco.